Athletic Resource Foundation receives support of their local insurance agency in furthering their mission of providing college funding for local athletes. Noto Insurance Advisors is raising funds to assist the organization with their mission of financially supporting student-athletes through college. They work with at-risk, disadvantaged and underserved student-athletes who otherwise might not have an opportunity to attend college. Noto Insurance Advisors debuts the new charity campaign in its recognized Community Cause Program in New Jersey, and announces that they will direct their efforts to raise funds for the Athletic Resource Foundation. The funds from the campaign will be used to financially assist local student-athletes through college over a period of 4 years. For more information on the campaign, please visit https://www.crowdrise.com/providing-a-college-future-for-a-local-athlete/fundraiser/notoinsuranceadvisors. According to the agency’s principal, John Noto, the programs at AR Foundation provides the student-athletes with a brighter future. “They work with at-risk, disadvantaged and underserved student-athletes who otherwise might not have an opportunity to attend college,” Noto mentions. 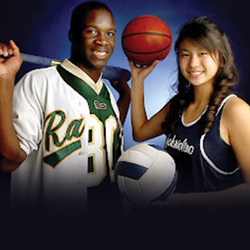 Athletic Resource Foundation will provide each student-athlete that gets chosen to participate in the program over $30,000 a year. “It is a privilege to work with an organization that recognizes the importance of college education as a vehicle for change in our community,” Noto agrees. Through the agency’s network of customers, business partners, friends, staff and family, the initiative to spread the word about the campaign will also bring awareness about AR Foundation’s work. Noto Insurance Advisors will employ its valuable resources and reach out to the community, appealing on behalf of the AR Foundation, so that the $500 goal can be met. The campaign will be promoted over the course of the next 60 days, through the agency’s social media channels, email communications, as well as through their monthly magazine, delivered to thousands of households in New Jersey, where the agency currently operates. Our Hometown magazine reserves a full page to feature the story. The electronic Flipbook version of the current issue can be accessed here: http://www.notoinsuranceadvisors.com/Our-Hometown-Magazine_39. Those with a heart for helping the community, and bringing awareness to important subjects are encouraged to visit https://www.crowdrise.com/providing-a-college-future-for-a-local-athlete/fundraiser/notoinsuranceadvisors and also share the page with friends and family. The agency will acknowledge those who contribute in their monthly magazine. The community program held by Noto Insurance Advisors will continue to highlight and support people in need in their community. Every two months, a new campaign will be launched, in collaboration with local non-profits and community members. Through the agency’s website, an open channel is also now available, where individuals can submit information on known families or persons who could use some help – http://www.notoinsuranceadvisors.com/Add-Community-Cause_59. All entries are submitted for review, and the elected worthy causes are properly contacted by a representative of Noto’s Community Cause Program. More information regarding past and current campaigns supported by Noto Insurance Advisors can be found at http://www.notoinsuranceadvisors.com/community-cause. The team at Noto Insurance Advisors is committed to offering the best insurance and financial services in the industry. In addition to providing clients with top-notch protection, coverage, and advice, Noto Insurance Advisors actively assists the local community by investing time and resources into charity campaigns directed at improving the quality of life of residents throughout New Jersey. A helpful Noto Insurance Advisors representative can be reached at 609-895-8450.